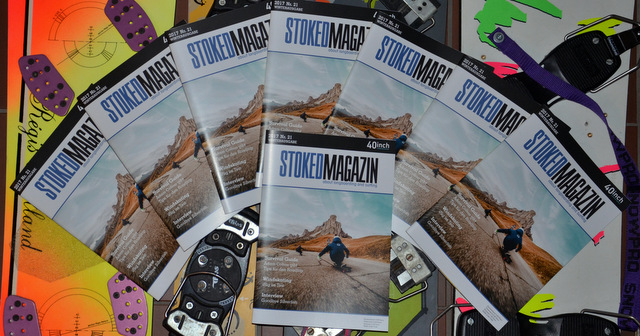 Das neue STOKEDMAGAZIN – formely know as 40inch – ist heute eingetroffen. Auch die Winterausgabe ist prall gefüllt mit Infos, Fakten und Geschichten rund um das Thema Longboarden, während der Preis diesesmal mit € 3,00 eher mager ausfällt. This entry was posted on Donnerstag, Januar 11th, 2018 at 20:24 and is filed under Talwärts. You can follow any responses to this entry through the RSS 2.0 feed. Responses are currently closed, but you can trackback from your own site.